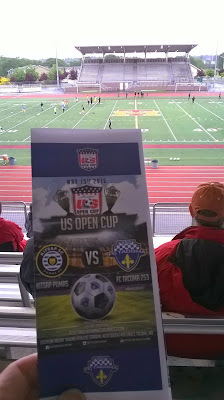 I was on hand for about 65 minutes of the 5-2 blowout of FC Tacoma 253 by the much better organized Kitsap Pumas. Enough about the US Open Cup being the real US Open. What I want to talk about is the one big league. I sat in the back of the stands at Mt. Tahoma High School. To the far right, at the other end of the stands, most of the Kitsap Pumas fans gathered. I was surrounded by a dozen or so folks obviously connected to the FC Tacoma organization. Then, way down the other end of my row sat a lonely fellow with yet a third team, standing out in his South Sound FC Shock track suit. None of these three teams, though representing roughly the same level of American soccer, play in the same regional league. The Pumas play in the Premier Development League, where youngish and collegians play during the summer. And, both SSFC and Tacoma 253 play in different leagues that represent the high level end of things, the Evergreen Premier League and the National Premiere Soccer Leagues. The EPL(WA) has a more independent and homegrown flavor. This is a lot of complexity in what should be a pretty simple thing. Back in the day, like in the 1960s and 70s, there was only one big high level amatuer/semipro soccer league in Western Washington. Just like the formation of an independent indoor soccer league and the machinations of various soccer teams indoors, the existence of three outdoor leagues covering the same geography speaks to something. It points to internal league politics that were settled by simply breaking up into different leagues. Because we aren't forced to live in a unified league system here, we can create whatever leagues we want. This obviously serves the politics of each owners, they can align themselves with whichever other owners they like or get along with. But, it doesn't serve the fans. Nineteen or so clubs across three leagues should be able to get together and hammer out some sort of unified league system. Whether by promotion or relegation or splitting into north/south or east/west divisions, it would be very possible to create some sort of local April to August league around here. I happen to prefer the home cooked flavor of the ELP(WA), mostly because I don't honestly know why we need national non US Soccer organizations running low-level leagues. Maybe that's what needs to happen. Maybe these national groups, the NPSL and the PDL need to step away, or US Soccer needs to provide an alternative structure that leagues like the ELPWA could roll into. 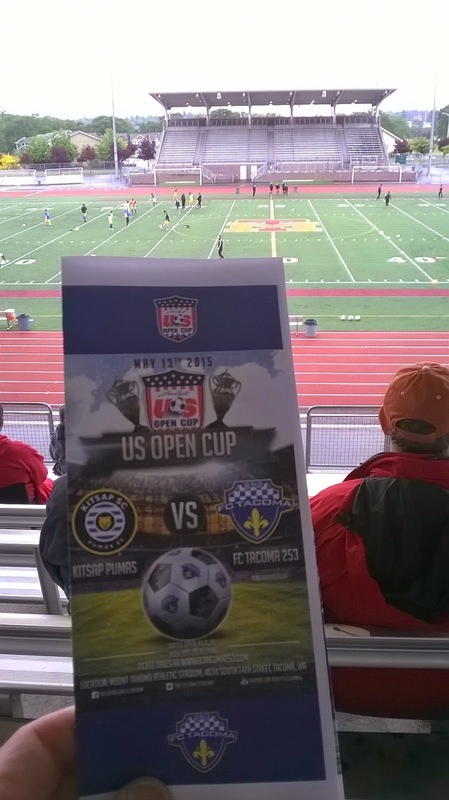 Something that allows for automatic births into the US Open Cup and the National Amatuer Cup. But, something that brings these teams together and serves the interest of fans is much needed. Even though Kitsap thrashed Tacoma, there is simply not enough difference between the teams to justify totally different league systems between them.